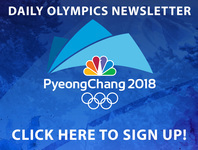 The 2018 Winter Olympics are set to begin this week. Hundreds of athletes from USA are in South Korea and they are ready to compete. Five of those athletes are from Florida, and four of them are on the speed skating team. Joey Mantia , from Ocala, said this is when all of those hours of training pay off. “You work all your life and you get to represent where you are from and put everything out in display and it is pretty special,” said Mantia. Another Ocala native and 2014 Olympian, Brittany Bowe is hoping to take the podium. “Some of my best races, I never saw a lap board or heard my coach, I was just that much in the zone,” she said. Joining Mantia and Ocala will be first time Olympians Mia Manganello from Crestview and Erin Jackson from Ocala. The only Florida native not on the long track speed skating team is Brandon Maxwell from Winter Park. Maxwell is a goalie on the USA Men’s hockey team. The speed skating and hockey start on Saturday.